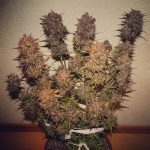 Girl Scout Cookies autoflowering is a fairly modern strain of marijuana that has only recently become a cultural phenomenon – the hottest mistress of the California cannabis community. The buzz is very real at both the cerebral level and for the body. Unleash your inner social creative animal with this plant. The therapeutic benefits of this plant have the power to relieve chronic pain, neuropathy, muscle spasms, and PTSD. Our edition of Girl Scout Cookies autoflowering is feminized and is ready for harvest in approximately 8-9 weeks. That said, this plant is a big contender for the NBA growing up to 60 – 100cm in height (up to 40 inches). The colors of this plant display a reddish orange tinge. Over time, it will be covered with bright white trichomes like an angel who has fallen out of the sky! Contrary to life, this baby doesn’t require a great deal of attention since the most recent autoflower genes gives it stability. However, to optimize development, we recommend that your feeding schedule include extra amounts of nutrients compared to the average doses. The plants will respond well with bigger bud growth. 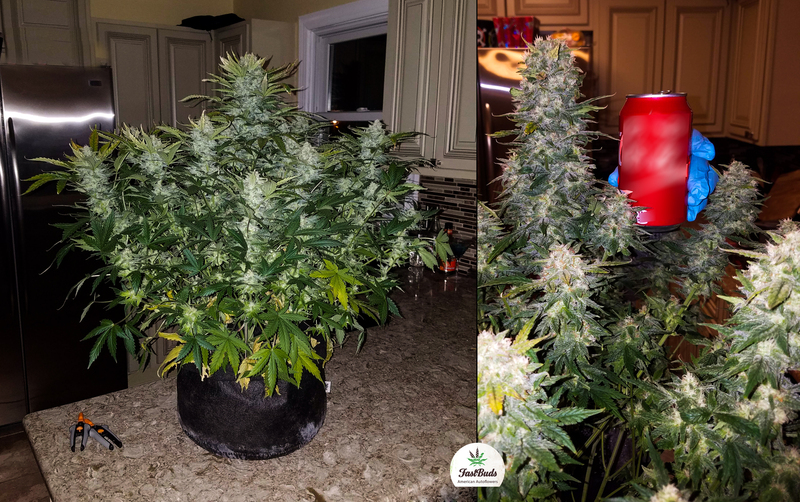 This entry was posted in Strain review and tagged AUTOFLOWERING, fastbuds, girl scout cookies, pics, REVIEW, seeds, STRAIN. Bookmark the permalink. ← Is Cannabis a Gateway Drug ?